Here's what you can expect during your 14-day free trial of Premium Donut for Onboarding. We're thrilled that you're interested in giving Premium Donut for Onboarding a try! Donut Premium Onboarding will automate every key step from making targeted introductions to gathering feedback from New Hires, so you can eliminate the need for manual tasks and reminders. If Donut isn't already installed on your Slack workspace, that's step #1! Just go to donut.ai and hit the big "add to Slack" button. We'll walk you through how to complete installation from there. You don't need to configure or use pairings in order to activate your free trial of Donut for onboarding, though you can if you'd like to. PS: Have a question about how we handle data security or privacy? We've got more info right here. Once Donut is installed on your Slack workspace, it's super quick to get your 14-day free trial of Premium Onboarding up and running. Log into your account at donut.ai using your Slack credentials, and Donut will prompt you to start setup. If this is your first time setting up Onboarding, we'll be asking you what kinds of content you'd like to send to new hires. Over the next 14 days, you'll be able to log into your dashboard to add new hires, and monitor their progress in real time. You can also opt into receiving weekly summary reports sent via email. We've got more info on how to use the dashboard and set up reports right here. 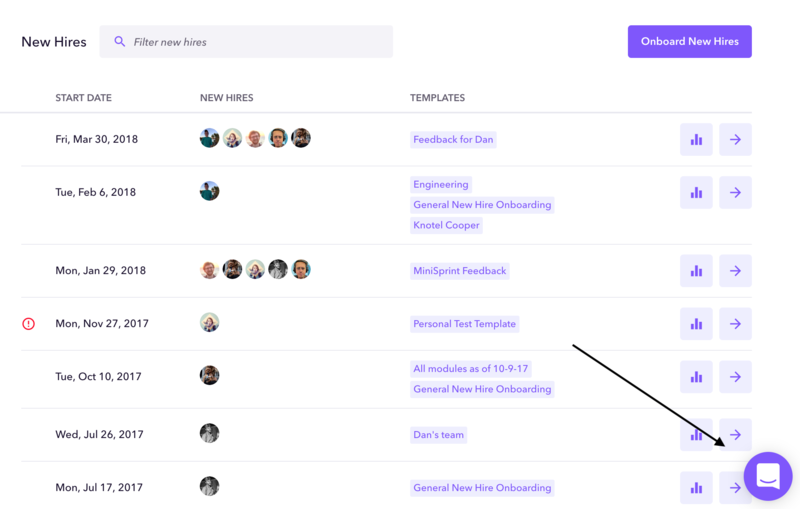 You can onboard as many new hires as you'd like during the 14-day free trial period, and invite other admins from your team to log into the dashboard as well if you'd like. You can also build unlimited custom Templates and add in different stakeholders to get a sense of how everything works. Once the free trial ends, we'll automatically deactivate your account unless you upgrade to a paid subscription. We're here for you! Just look for the purple speech bubble in the lower right-hand corner of the page. We'll respond as soon as possible to any inquiries.